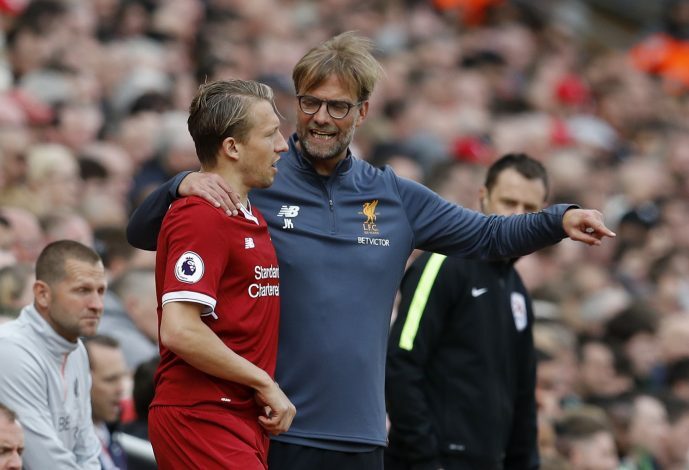 Lucas Leiva has left Liverpool to join Italian outfit Lazio for a fee of £5 million. The Reds’ longest serving player, who made 345 appearances in all competitions for the Merseyside giants, has finally parted ways with the club to move to the Serie A. The Brazilian underwent his medical in Rome on Tuesday before sealing the switch. Upon the completion of his transfer, the midfielder talked about his love for his former club, by stating (via BBC): “Liverpool is one of the greatest clubs in the world, and my intention had always been to spend the rest of my career here. “But the less I have been able to play, the more I have realised that I need to go to another club if I want to play as much as I possibly can. The 30-year-old joins Lazio as a direct replacement for Lucas Biglia, who joined league rivals AC Milan earlier this month.